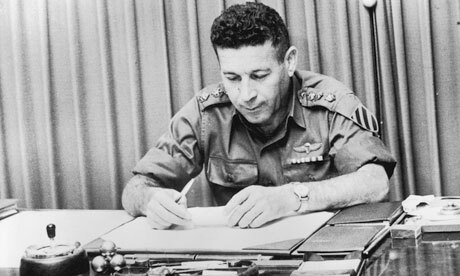 Major General Israel Tal passes away at the age of 85. Tal is best known for being the head of the 1970 committee which designed and developed the Merkava tank. By the early 1960’s Israel found a need to develop its own weaponry in order to become less reliant on foreign arms supplies. After a joint British-Israeli tank venture fell apart in 1969, a special task force was led by Tal to determine Israel’s capacity for developing its own tank to meet the specific needs of the IDF and the terrain of the Middle East. The Merkava (hebrew for chariot) was first used in 1979 and is considered one of the finest and safest tanks in battle. In addition to the Merkava, Israel Tal, who was born in the Land of Israel in 1924 and served in the Jewish Brigade of the British army during World War II, was renowned as a military strategist and armor commander.